Influenza activity continues to rise, as does reported flu-related deaths and hospitalization rates, according to the CDC’s FluView report published today. At the CDC's media briefing, Dan Jernigan, MD, MPH, Director of the influenza division in CDC’s National Center for Immunization and Respiratory Diseases, noted that the current season is showing the highest influenza activity since the 2009 H1N1 pandemic. "For seasons, the most recent comparison would be the 2003- 04, but in terms of data we collected through this system including the pandemic, it would be since 2009," he said. In last week’s media briefing, CDC Director Brenda Fitzgerald, MD, said that influenza surveillance systems suggest that this year’s influenza season may be peaking, but it will likely take several more weeks before activity slows down. According to the most recent surveillance report, which provides an update on influenza surveillance for week 3 (January 14-20, 2018), influenza activity continues to increase and remains widespread in 49 states for the third week in a row. Seven more influenza-associated pediatric deaths were reported to the CDC, bringing the total up to 37 for this season. According to the briefing, Dr. Jernigan said that he anticipates more pediatric deaths to occur this season than the previous season. Hospitalization rates have also increased, with week 3 rates bringing rates up 49.1 hospitalizations per 100,000 people in the United States. The proportion of outpatient visits for influenza-like illness was 6.6%, as outpatient visits continue to remain above the national baseline of 2.2%. The most frequently identified influenza virus subtype continues to be influenza A H3N2. 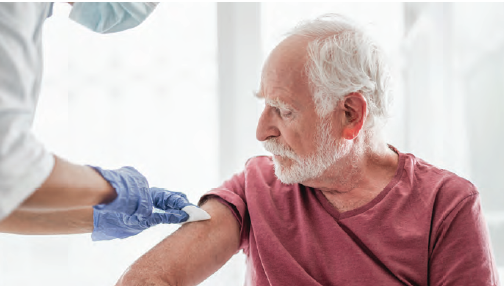 Adults aged 60 years and older were most affected by the virus, making up 42% of the reported influenza A(H3) cases. As officials anticipate widespread flu activity to continue for several more weeks, health care providers should remind patients to receive their flu vaccinations if they haven't already. 2017-2018 Influenza Season Week 3 ending January 20, 2018. Weekly US Influenza Surveillance Report. CDC's website. https://www.cdc.gov/flu/weekly/index.htm#S4. Accessed January 26, 2018.